CPCS uses various methods to expose children pain and gain in centers. Children are coming from different background/ places of the country facing various problems; family, poverty , violence, abuses and disaster.They are living in CPCS Centers. 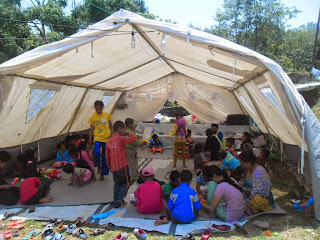 During their stay, they get many services; socialization classes, awareness classes ,health check up, legal support, family visit,family reunification, child right classes,games and sports and counseling. In counseling sessions, they sit with counselors and share their problems with counselors. It is totally confidential. Basically, they are having the problems of anger, depression anxiety, loneliness, bullying , lack of trust and bed wetting etc.Counselors use multiple tools; basic communication skills, game therapy, play therapy, art and storytelling during sessions etc. Before finding solution of the problems among children ,CPCS staffs consult with counselors and their report. There are three professional counselors.